Program locations support individuals who reside in Nassau County or western to central Suffolk County. This program is available to those who are Medicaid-eligible and approved for services through the Office for People with Developmental Disabilities (OPWDD). Programs operate 9:00 am to 3:00 pm Monday to Friday year-round. Door-to-door transportation is provided. CHOICES is designed to promote independence and productivity through participation in meaningful activities. Instruction is provided to help organize and support the individual’s participation in community-based activities. A wide range of volunteer work experiences and site-based activities are available to foster community connections. Clinical support in areas of nursing and psychology is also available on-site at these programs on a daily basis. CONNECTIONS is designed for individuals who have a diagnosis on the Autism Spectrum (ASD) or present similar strengths/challenges. GOLDEN OPPORTUNITIES is designed for individuals who are aging and/or medically frail. BRIDGES and OASIS are designed to promote independence, integration and productivity through a wide range of volunteer work experiences in the community. Five hub sites are situated in local community neighborhoods allowing easy community access. PROGRAM WITHOUT WALLS offers the same opportunities as Community-Based Day Habilitation, focusing on individuals who benefit from smaller settings. 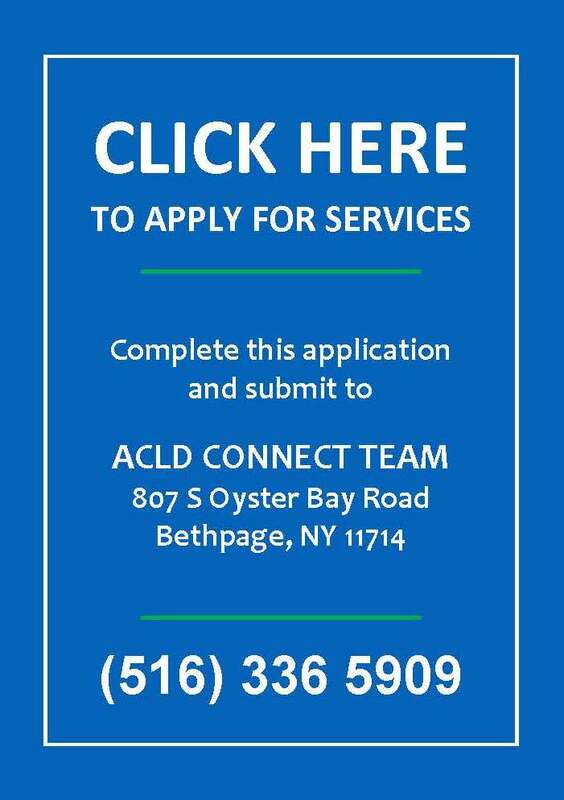 For more information, please contact our Connect Team at (516) 336-5909 Extensions 171, 242, and 370.